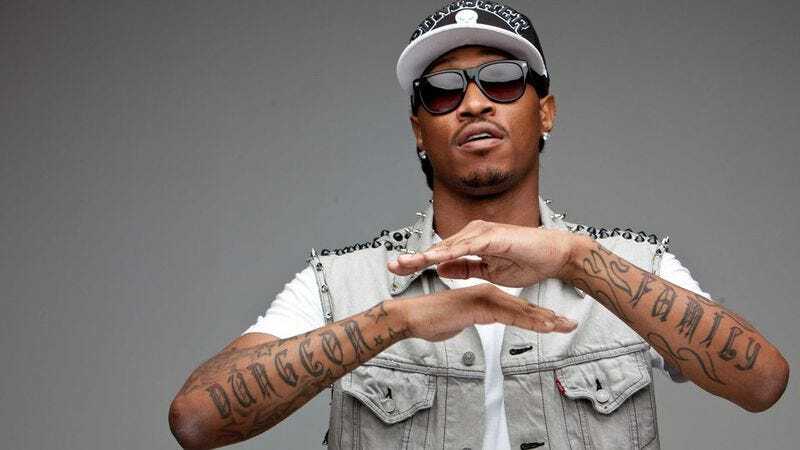 Two weeks after dropping his latest mixtape, Purple Reign, onto the increasingly crowded MP3 players of his most avid fans, rapper Future has announced that his fourth studio album is being released in just a couple of days. Moving from Prince references to old Sonic Youth, Future revealed that his new album, Evol, will go on sale for pre-order at midnight tonight, before debuting on DJ Khaled’s Beats 1 show on Friday, February 5. Even ignoring his various mixtapes, Drake collaborations, and (we’re assuming) the long, rambling voicemail messages he leaves for friends, Future has been producing music at a furious rate of late; in the last 21 months, he’s put out three studio albums, including 2014’s Honest and last year’s DS2. We can only assume this accelerated hustle stems from taking his own self-applied rap name literally, and that he’s now bound and determined to create a future in which there is only room for Future music to exist. So yeah, warn the Resistance: Evol is coming. The war is here. Choose your sides.